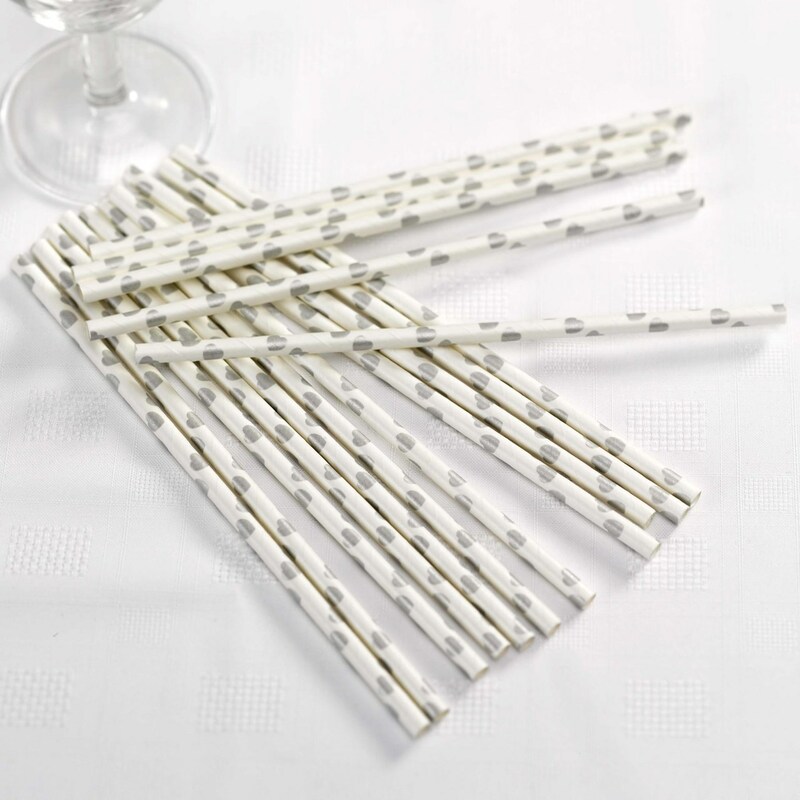 Add a retro touch to your wedding party with these fun paper straws. Tapping into the fashion for all things vintage, these straws can be used in soft drinks for the little guests at your wedding or in mini bottles of fizz for the grown-ups. 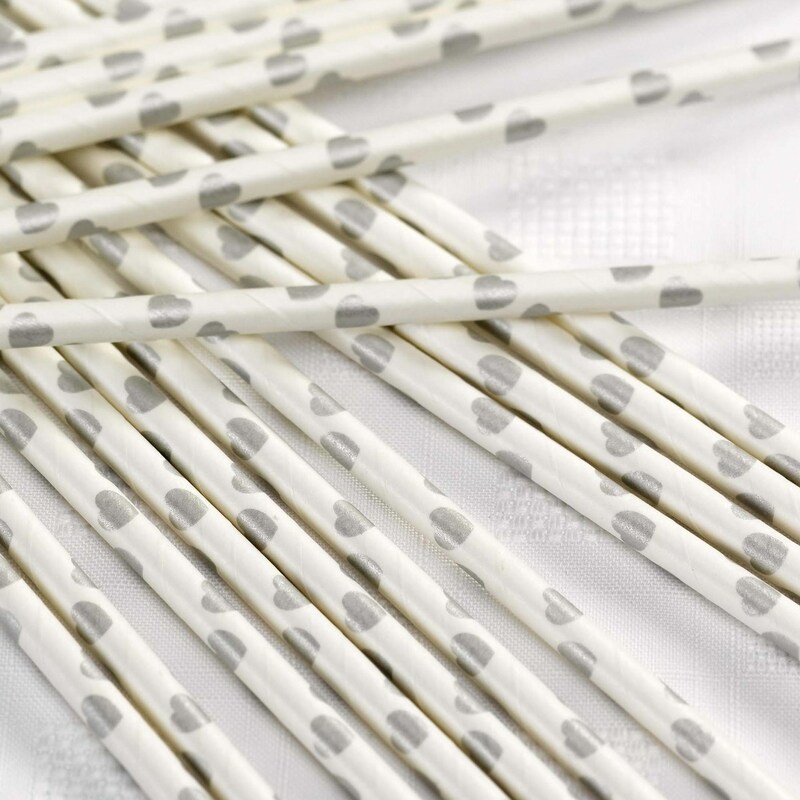 Each straw is illustrated with mini silver hearts against a white background. A really easy way to make a fashionable and fun statement on your special day.